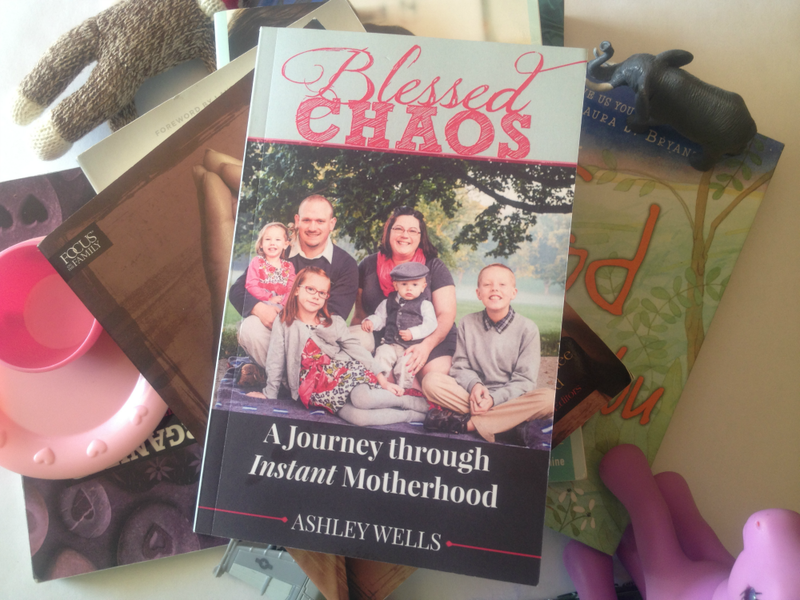 On November 22, my writing friend Ashley Wells celebrated her one-year adoption anniversary by releasing her newest book "Blessed Chaos: A Journey through Instant Motherhood." 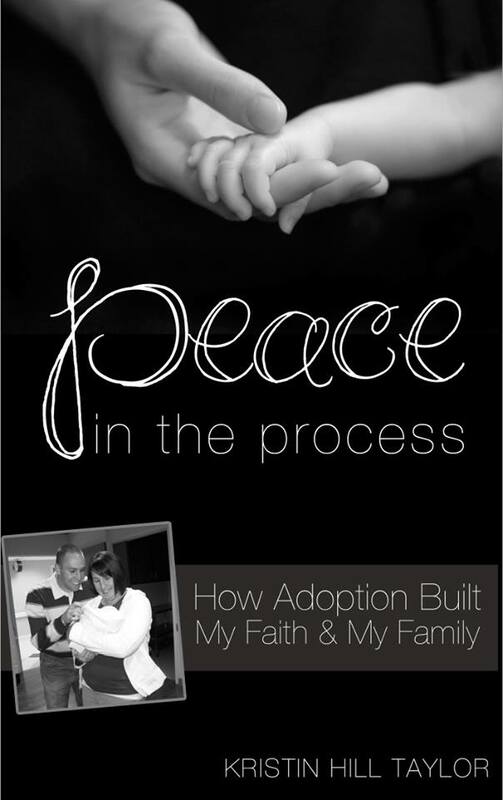 This book is an inspiring memoir about Ashley's journey becoming an instant mother to four children through foster care. Below is an excerpt from the book describing when Ashley was utterly exhausted but knew she had already fell in love. Nights were still hard and crying was a guarantee. That first week was so tiring. I didn't sleep more than ninety minutes at a time. I am amazed at how the Lord sustained us and gave us strength to press on each day and each moment. 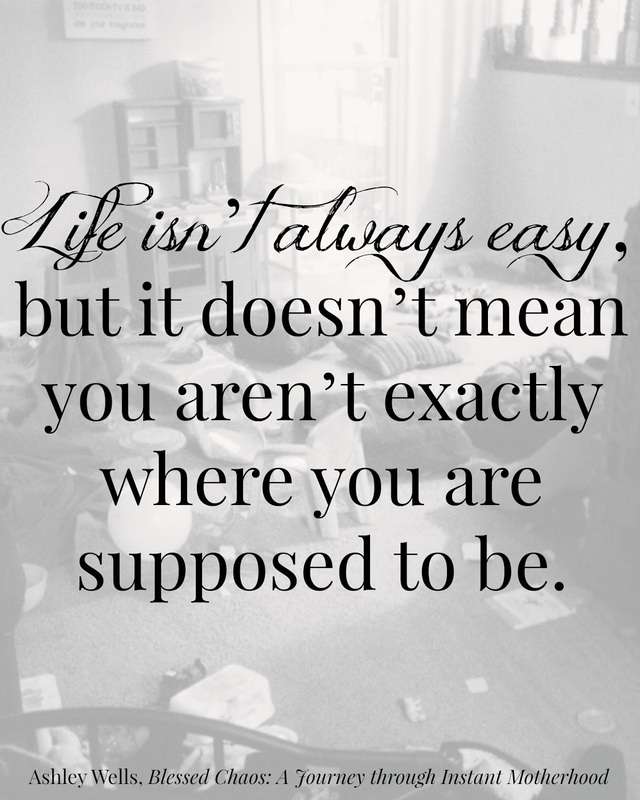 I remember feeling unbelievably exhausted, yet I was able to get through whatever obstacle I faced. As soon as Michael or I would find ourselves with feelings of not possibly being able to do anything else, strength would come and we would do what needed done. God giving us the power to get through each day is the only explanation for how we made it. By His power, He gave us strength when we were faint and weary. Even when we felt like we couldn’t take one more step, we would move forward in faith and be sustained. We discovered the children had been told, in the last moments with their biological parents, they would be returning home or living with their grandma very soon. It was on the fourth day with us Jazmine (5 years old) and Jonathan (8 years old) realized this probably wasn't true. It was as if we were soothing them on the first night all over again. The nights were incredibly difficult. Many times there was just inconsolable crying until they would fall asleep. In those moments I would do the only thing I could think: hold them, rock them, pat their backs, sing lullabies, and pray over them. I wanted to do anything to make them feel safe. On that fourth night I was tired, bone weary. It was a struggle to even walk from room to room. I put each kid to bed and soothed their worries one by one until they were asleep. Christina (13 months old) was always first because she was the most difficult, and no one else could possibly go to sleep while she was still screaming. Once she finally closed her eyes I moved my attention to the top bunk where Jazmine had begun resting with a few books. Wiping tears away I gave her a hug, read her a story, said a prayer, sang a quiet song, and then finally I patted her on the back. She was a little bit easier. Jonathan was next. He and Michael had been spending time together, with Kyle close by, as I got the girls asleep. Now it was his turn. He was ready and simply rested after a prayer. Kyle (3 weeks old, now) was the last one, the easiest of the four. As I held him and watched him enjoy his bottle, tears started to come. I couldn’t hold them back any more. I hadn’t cried yet. I was still holding it all in since meeting the kids. I let out all the built-up emotions from the week. I watched Kyle, so precious and comforted by my embrace. I was in awe of these kids and this life. I was in love. I was so happy. It was so hard. Yet I was doing it, thanks to God. In those moments I cried out of desperation and exhaustion, yet also amazement. Then fearful tears started to fall down my face fast and heavy. I was already terrified. What if they left? What if I had to say goodbye? My heart would already be broken, and it hadn't even been a week. I couldn’t believe how I had already fallen in love with these children, despite any biological relation. You wonder sometimes as you are preparing to adopt, will you truly love these children even though you share no DNA? Let me tell you: Yes. I was already absolutely undeniably in love with each of the children. What if they were with us for months and then go back to their biological parents? What then? How would I go on knowing what my life could be like? Now that I had experienced these precious moments with children, I didn't want to go on without these kids. I cried and cried and cried, wiping my tears away with the burp cloth as I held Kyle and watched him take his bottle and softly fall asleep. I was so overwhelmed with emotion. Love. Fear. Awe. Excitement. Exhaustion. It was all too much. Michael saw me crying and asked me what was wrong. All I could mutter out through the tears was, "I'm already in love." Michael joined me in our room where I put Kyle to bed with tears continuing to stroll down my face. Michael held me as we stared at Kyle drifting off to sleep and I cried a puddle of tears on my pillow. That night we enjoyed six hours of uninterrupted sleep and woke feeling new and ready to face the world again. 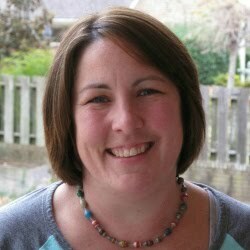 Ashley Wells is a wife, proud adoptive mom, writer, speaker, and sweet tea addict. She blogs regularly at blog.ashleykwells.com.